Archive from category "Perforated acoustic panels"
Our costumer service Interview with our satisfied customer from Russia. 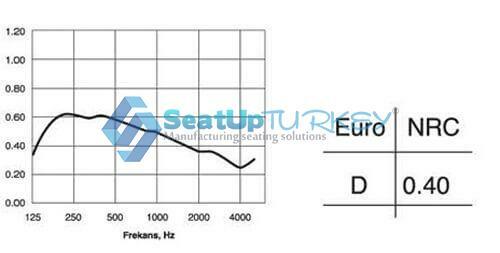 Mr. Waldemir What do you think is special in the service that Seatup TR Ltd provides? First of all it is that you can communicate quickly with them and get a fair price immediately on the same day you requested a quote. The second thing is that I can tell you that they make their own seats because I visited their factory a few times in Turkey in the city of Bursa and they have a very advanced and impressive production line. And you told me that they also produced for you the acoustic panels? Yes right which is really good point about them. For us it was very good because our project needed both seats and panels. And do you think it’s good that both the seats and the panels one company was producing? It was certainly a huge advantage for us because we worked with one company in this case it was Seatup Turkey and they provided us with everything we needed seats and chairs and it saved us a lot of time because instead of we had to deal with two companies one company created everything for us and sent it all in one container 40 DC. I think a lot of our success came from cooperation with seatup Turkey company and I would certainly be happy to work with them again. Okay, thank you very much for answering our questions and for agreeing to share. We wish you continued enjoyable work and that we will bring together many more successful projects. 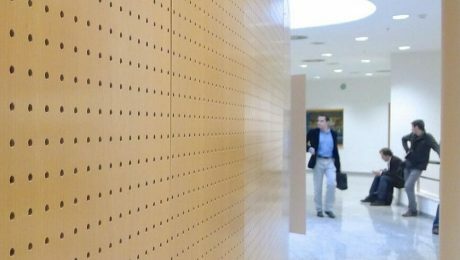 Perforated acoustic panels provide a modern, light and luxurious look and enable cladding that enables high acoustic efficiency due to their structural features. Large plate finishing options according to project requirements. 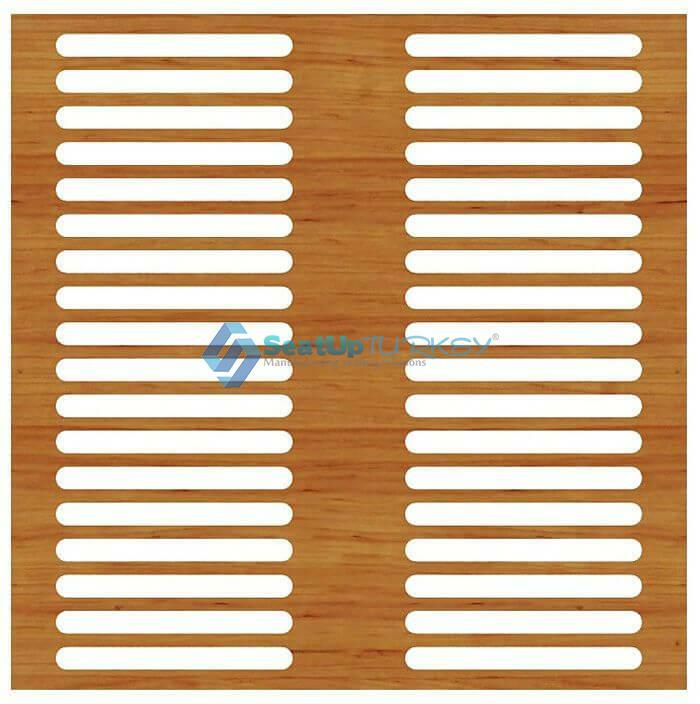 All the our acoustic panels are manufactured from quality raw materials, refractories according to the EN strictest standards. 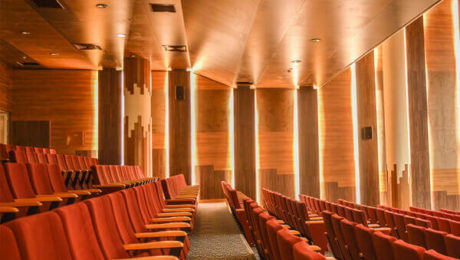 In order to achieve good acoustic results in the spaces of the room with an impressive aesthetic combination the perforated acoustic panels are made of MDF plates with thickness of 3 options: 8mm,12mm,18mm (including a 0.2 mm thick black acoustic fabric in the behind), and are technically efficient in absorbing noise. At the design level, the cladding panels provide a fine linear, qualitative and discrete aesthetic. 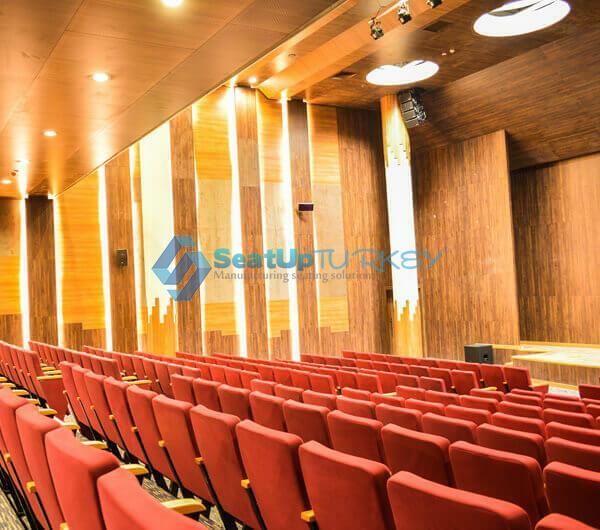 Suitable for halls with high acoustic requirements such as: Auditoriums, conference halls, Library and all other kind of public buildings. 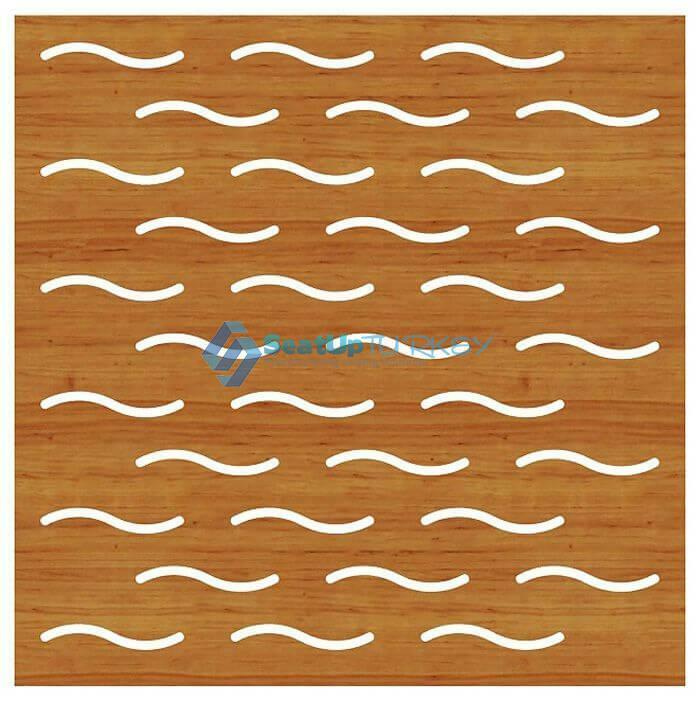 Dimensions: for Ceiling: 600 x 600 mm – for Wall: 600 x 1200 mm or according to demend. 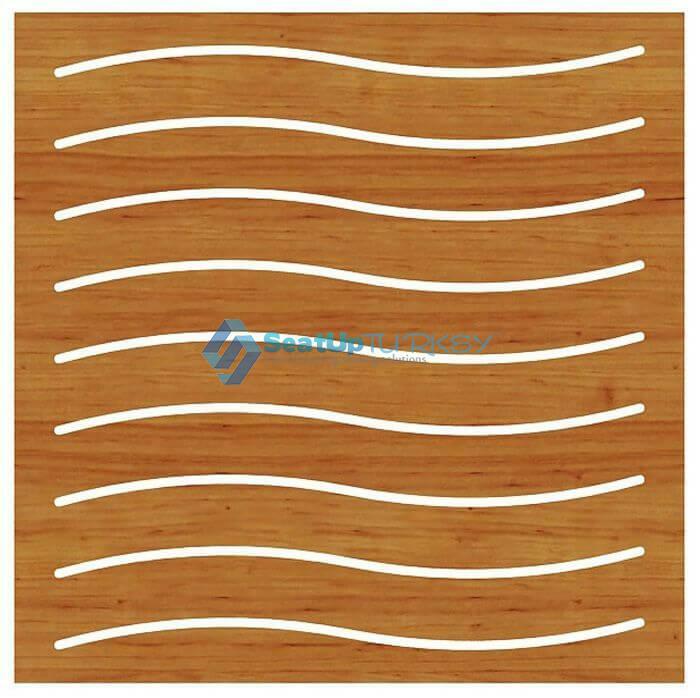 Materials: MDF 18 mm thick MDF base boards, possible finish in melamine or veneer for those who have the budget to invest in venner which is almost double price from the price of melamine finish. How do I decide what is the right model for me from all the options ? 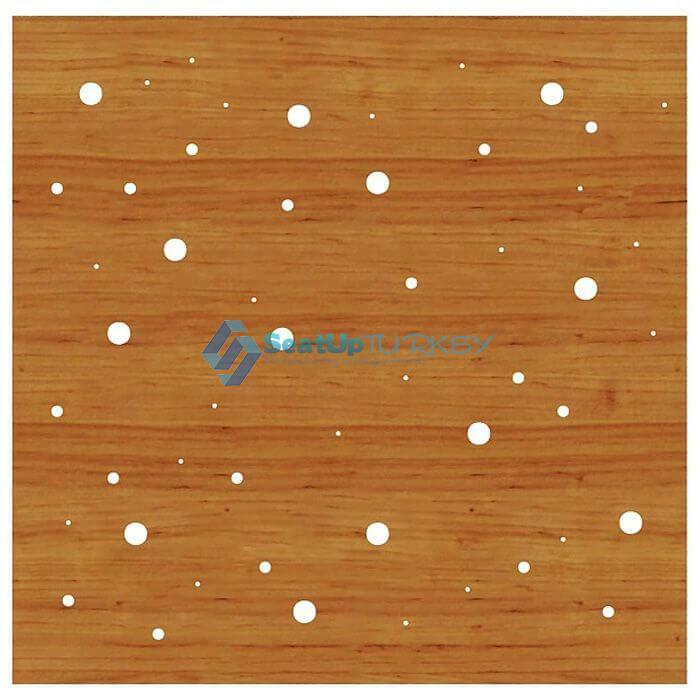 There are really a lot of our models of acoustic wooden panels, but what you need to do is first of all get a professional demand from an acoustic engineer that tells you that he is interested in some sort of acoustics and therefore you can choose a model that meets the requirements. 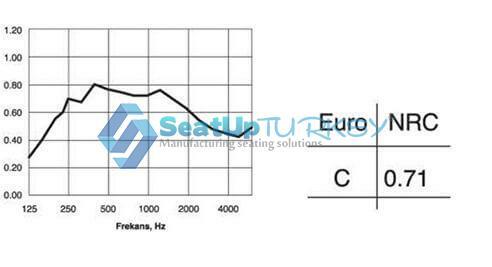 Note that some of our models have a technical graph that indicates the acoustic quality of the panel to which it belongs, it is likely that your selection should be based on the appropriate graph. Then color is an infinite option and any color that comes to mind is possible. 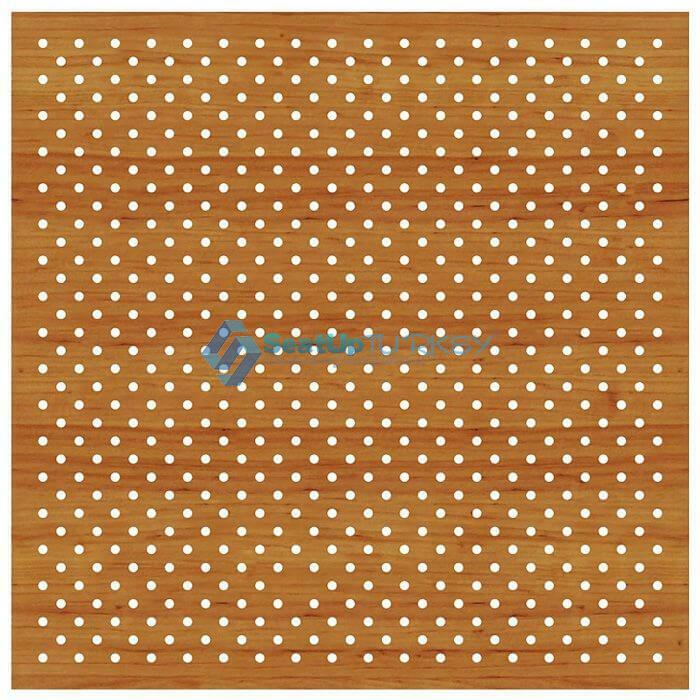 then we can say that in general when it comes to a site that requires a high level of acoustics and dealing with heavy noises, we suggest that you select a panel that is both channeled and perforated. But if your site needs to deal with an area that is not very acoustically problematic then you can choose a model that is perforated only. 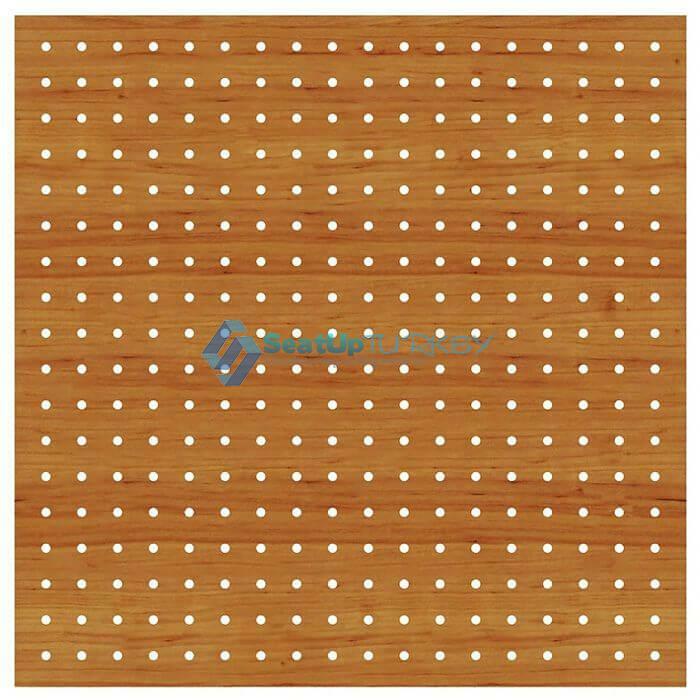 also you know that the acoustic value of those panels is getting increased by how much intense the perforating is, so holes size and their intensity level are aspect that influence on their acoustic performance. If you know that there is no requirement for high acoustic performance but the requirement is more for Innovative and interesting design so go ahead with our models such as Acoustima model 224, or 225, 226 or 227 and etc which are adding beautiful scene to your site!!! for full catalog with all models download here, We are waiting your request.